The PID Controller (2DOF) block implements a two-degree-of-freedom PID controller (PID, PI, or PD). The block is identical to the Discrete PID Controller (2DOF) block with the Time domain parameter set to Continuous-time. The block generates an output signal based on the difference between a reference signal and a measured system output. The block computes a weighted difference signal for the proportional and derivative actions according to the setpoint weights (b and c) that you specify. The block output is the sum of the proportional, integral, and derivative actions on the respective difference signals, where each action is weighted according to the gain parameters P, I, and D. A first-order pole filters the derivative action. Controller type (PID, PI, or PD) — See the Controller parameter. As you change these options, the internal structure of the block changes by activating different variant subsystems. (See Variant Subsystems.) To examine the internal structure of the block and its variant subsystems, right-click the block and select Mask > Look Under Mask. For a single-input block that accepts an error signal (a difference between a setpoint and a system output), see PID Controller. The PID controller coefficients and the setpoint weights are tunable either manually or automatically. Automatic tuning requires Simulink® Control Design™ software. For more information about automatic tuning, see the Select tuning method parameter. Reference signal for plant to follow, as shown. When the reference signal is a vector, the block acts separately on each signal, vectorizing the PID coefficients and producing a vector output signal of the same dimensions. You can specify the PID coefficients and some other parameters as vectors of the same dimensions as the input signal. Doing so is equivalent to specifying a separate PID controller for each entry in the input signal. Feedback signal for the controller, from the plant output. Proportional setpoint weight, provided from a source external to the block. External input is useful, for example, when you want to map a different PID parameterization to the PID gains of the block. You can also use the external input to implement gain-scheduled PID control. In gain-scheduled control, you determine the PID coefficients by logic or other calculation in your model and feed them to the block. Derivative setpoint weight, provided from a source external to the block. External input is useful, for example, when you want to map a different PID parameterization to the PID gains of the block. You can also use the external input to implement gain-scheduled PID control. In gain-scheduled control, you determine the PID coefficients by logic or other calculation in your model and feed them to the block. Trigger to reset the integrator and filter to their initial conditions. Use the External reset parameter to specify what kind of signal triggers a reset. The port icon indicates the trigger type specified in that parameter. For example, the following illustration shows a continuous-time PID Controller (2DOF) block with External reset set to rising. Controller output, generally based on a sum of the input signal, the integral of the input signal, and the derivative of the input signal, weighted by the setpoint weights and by the proportional, integral, and derivative gain parameters. A first-order pole filters the derivative action. Which terms are present in the controller signal depends on what you select for the Controller parameter. The base controller transfer function for the current settings is displayed in the Compensator formula section of the block parameters and under the mask. Other parameters modify the block output, such as saturation limits specified by the Upper Limit and Lower Limit saturation parameters. The controller output for the current setting is displayed in the Compensator formula section of the block parameters and under the mask. where r is the reference signal, y is the measured plant output signal, and b and c are the setpoint weights. The controller output for the current settings is displayed in the Compensator formula section of the block parameters and under the mask. The PID Controller (2DOF) and Discrete PID Controller (2DOF) blocks are identical except for the default value of this parameter. In discrete time, the integral term of the controller transfer function is Ia(z), where a(z) depends on the integrator method you specify with this parameter. Specify the controller gains, filter coefficient, and setpoint weights using the block parameters P, I, D, N, b, and c respectively. Specify the PID gains, filter coefficient, and setpoint weights externally using block inputs. An additional input port appears on the block for each parameter that is required for the current controller type. Enabling external inputs for the parameters allows you to compute their values externally to the block and provide them to the block as signal inputs. External input is useful, for example, when you want to map a different PID parameterization to the PID gains of the block. You can also use external gain input to implement gain-scheduled PID control. In gain-scheduled control, you determine the PID gains by logic or other calculation in your model and feed them to the block. When you supply gains externally, time variations in the integral and derivative gain values are integrated and differentiated, respectively. The derivative setpoint weight c is also differentiated. This result occurs because in both continuous time and discrete time, the gains are applied to the signal before integration or differentiation. For example, for a continuous-time PID controller with external inputs, the integrator term is implemented as shown in the following illustration. Thus, the integrator gain is included in the integral. Similarly, in the derivative term of the block, multiplication by the derivative gain precedes the differentiation, which causes the derivative gain D and the derivative setpoint weight c to be differentiated. To enable this parameter, set the Controller parameters Source to internal. To enable this parameter, set Time domain to Discrete-time, and set Controller to a type that has a derivative term. Setpoint weight on the proportional term of the controller. The proportional term of a 2-DOF controller output is P(br–y), where r is the reference signal and y is the measured plant output. Setting b to 0 eliminates proportional action on the reference signal, which can reduce overshoot in the system response to step changes in the setpoint. Changing the relative values of b and c changes the balance between disturbance rejection and setpoint tracking. To enable this parameter, in the Main tab, set the controller-parameters Source to internal. Setpoint weight on the derivative term of the controller. The derivative term of a 2-DOF controller acts on cr–y, where r is the reference signal and y is the measured plant output. Thus, setting c to 0 eliminates derivative action on the reference signal, which can reduce transient response to step changes in the setpoint. Setting c to 0 can yield a controller that achieves both effective disturbance rejection and smooth setpoint tracking without excessive transient response. Changing the relative values of b and c changes the balance between disturbance rejection and setpoint tracking. To enable this parameter, in the Main tab, set the controller-parameters Source to internal and set Controller to a type that has derivative action. If you have Simulink Control Design software, you can automatically tune the PID coefficients when they are internal to the block. To do so, use this parameter to select a tuning tool, and click Tune. Use PID Tuner, which lets you interactively tune PID coefficients while examining relevant system responses to validate performance. PID Tuner can tune all the coefficients P, I, D, and N, and the setpoint coefficients b and c. By default, PID Tuner works with a linearization of your plant model. For models that cannot be linearized, you can tune PID coefficients against a plant model estimated from simulated or measured response data. 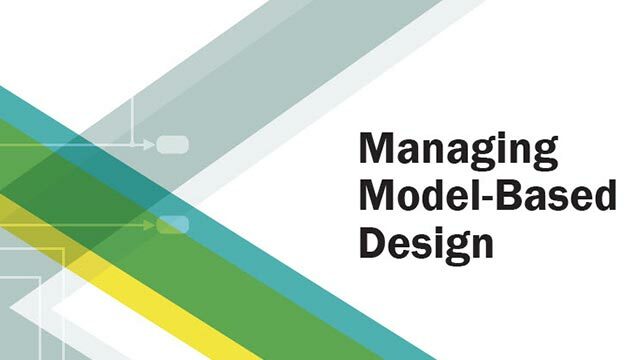 For more information, see Design Two-Degree-of-Freedom PID Controllers (Simulink Control Design). Use Frequency Response Based PID Tuner, which tunes PID controller coefficients based on frequency-response estimation data obtained by simulation. This tuning approach is especially useful for plants that are not linearizable or that linearize to zero. Frequency Response Based PID Tuner tunes the coefficients P, I, D, and N, but does not tune the setpoint coefficients b and c. For more information, see Design PID Controller from Plant Frequency-Response Data (Simulink Control Design). For more information, see Bumpless Control Transfer with a Two-Degree-of-Freedom PID Controller. Use signal tracking to prevent block windup in multiloop control approaches. For an example illustrating this approach with a 1DOF PID controller, see Prevent Block Windup in Multiloop Control. If the sign of the signal entering the integrator never changes, the integrator continues to integrate until it overflows. 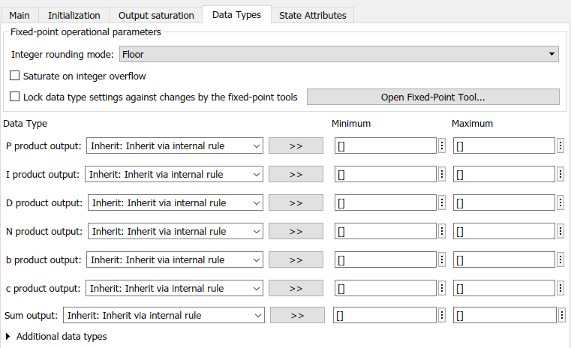 The overflow value is the maximum or minimum value for the data type of the integrator output. If the sign of the signal entering the integrator changes once the weighted sum has grown beyond the output limits, it can take a long time to unwind the integrator and return the weighted sum within the block saturation limit. Regulate the speed of an electric motor using two degrees-of-freedom PID control with set-point weighting. We use the PID Controller (2DOF) block in Simulink® as shown below. A 2-DOF PID controller can be interpreted as a PID controller with a prefilter, or a PID controller with a feedforward element. In parallel form, a two-degree-of-freedom PID controller can be equivalently modeled by the following block diagram, where C is a single degree-of-freedom PID controller and F is a prefilter on the reference signal. where b and c are the setpoint weights. A similar decomposition applies for a discrete-time 2-DOF controller. Alternatively, the parallel two-degree-of-freedom PID controller can be modeled by the following block diagram. The transfer functions for C are the same as in the filter decomposition.